Keep out of reach of children. Check with a qualified health care professional before taming this product if you are pregnant, nursing a baby, under 18 years of age, or if you have any known or suspected condition(s) and/or are taking any prescription or OTC medications. Anyone who is ready to have more energy, build more muscle faster, and have more endurance is looking for creatine. Creatine is one of the most researched and proven supplements ever on the market. 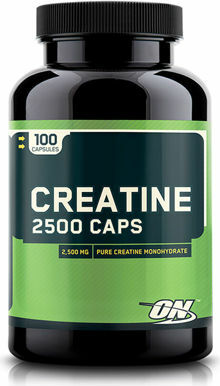 Optimum Nutrition's Creatine 2500 Caps are manufactured with the same Creatine Monohydrate found in our other premium Creatine products. 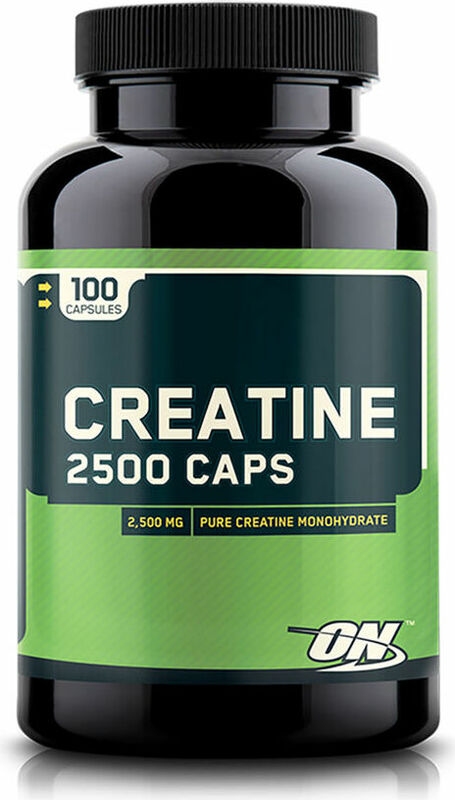 Creatine 2500 Caps are formulated for rapid disintegration and maximum absorption with 2500 mg of 99.9% pure Creapure brand Creatine Monohydrate in just 2 capsules.